Whether you’ve just built a brand-new home, updated your existing home with new concrete or just want to extend the life of your existing driveway, patio or sidewalk, it makes sense to protect your investment by protecting your concrete. You could buy a do-it-yourself solution at your local big-box store, but application is messy, and it has to be reapplied every few years, which can get expensive. Plus, it likely won’t be compatible with new concrete. Moisture seeps into the pores of untreated concrete, and when temperatures drop, especially during freeze-thaw cycles, that trapped moisture expands as it turns to ice. This expansion destroys the pores and weakens the concrete. 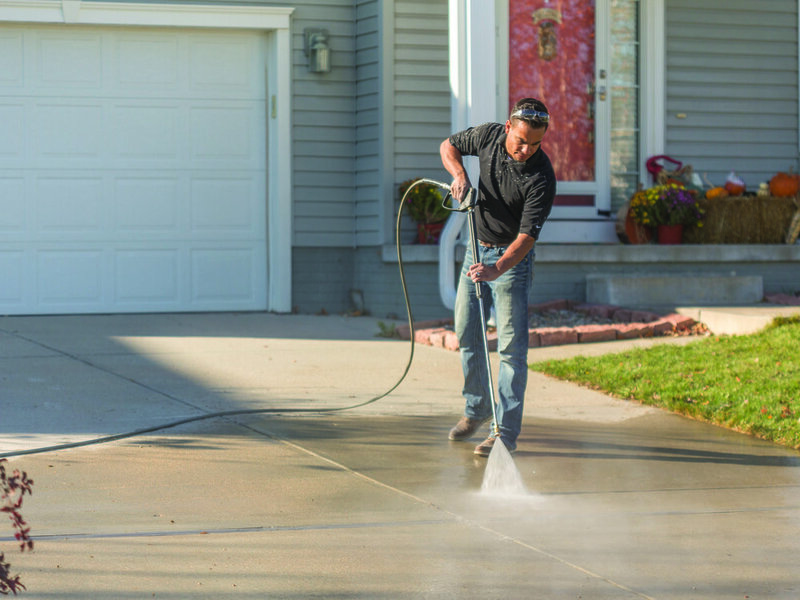 Without protection, your concrete will inevitably discolor, flake and crack. This not only reduces the curb appeal — and value — of your home, it can also create potentially dangerous tripping hazards. SealantPro concrete protection is a simple, highly effective solution that ensures that your home’s concrete surfaces look and perform their best for years to come.